The iEMatch is the perfect headphone accessory for any music lover. Take the hiss and pop out of your digital audio with this simple, compact plug-n-play adapter. Digital volume controls actually remove information from the music to lower the sound. The iEMatch allows you to experience every detail with Bit Perfect technology without blowing your eardrums, so you can listen to Spotify, iTunes and more at the highest bit rate. 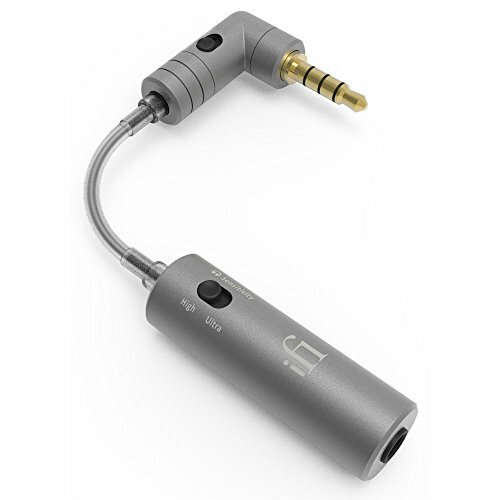 Compatible with balanced and single-ended headphones. Adjustable sensitivity for sensitive ear buds and in-ear monitors. Includes a convenient carry case, ear plugs, and an airplane jack adapter! If you have any questions about this product by IFI, contact us by completing and submitting the form below. If you are looking for a specif part number, please include it with your message.